In 2014, journalist Meg Kissinger wrote a series called “Chronic Crisis” — an in-depth examination of Milwaukee’s mental health system. But Kissinger didn’t just write about the problem, she provided a solution. That’s the main focus of the Solutions Journalism Network (SJN), an independent nonprofit founded in 2013 that uses educational tools and advising events to train journalists to shift the focus of reporting from problems to problem solving. Samantha McCann, director of communities for SJN, said that journalists are often trained to find the problems plaguing society, but aren’t told to focus on providing their readers with a solution. 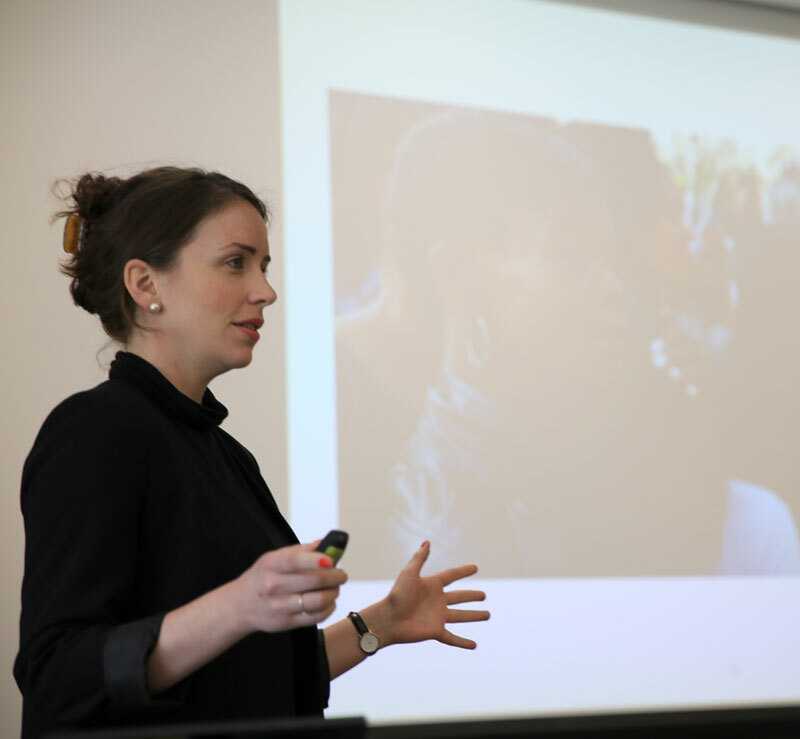 McCann and her colleague Holly Wise, director of Journalism School Engagement at SJN, will lead a free and public workshop to train attendees on reporting solutions stories on April 20 as part of the 2017 International Symposium on Online Journalism (ISOJ). Register now. The workshop will go over the basics of solutions journalism and teach attendees the key steps of reporting solutions stories. 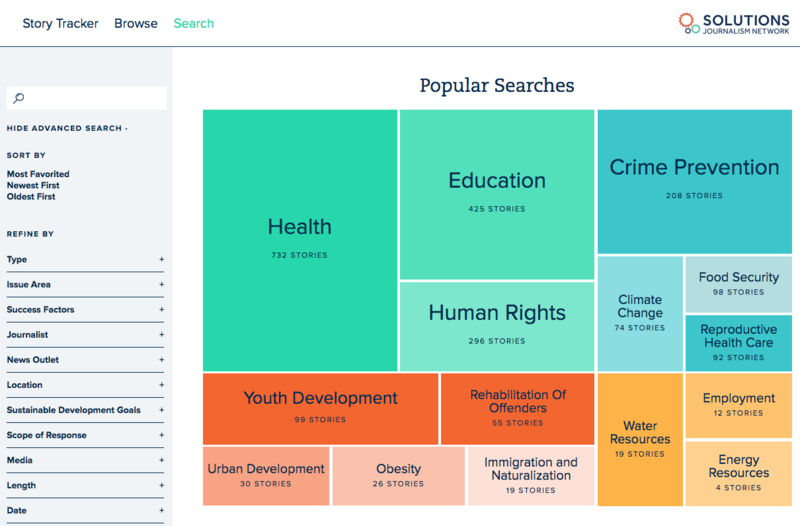 It will also go over the Solutions Story Tracker, a searchable database of more than 1,800 stories intended to help users find different ways to approach solution-based storytelling. Because journalists aren’t usually trained to pursue stories from a solution-oriented mindset, McCann said the simplest thing they can do to change their habits is just ask themselves one thing. But, because of the way the news cycle works, McCann said it’s usually easier to find problems than potential solutions. If journalists can begin to change the way they approach their stories, McCann believes they can increase their impact. “Journalism is a source of information, and if you’re providing stories that people can really use to make effective change in their communities, it can be a really powerful thing,” McCann said. Using Meg Kissinger’s Chronic Crisis series as an example, McCann said her solutions reporting did eventually lead to positive change. After traveling to Ohio, Texas, California and Belgium, Kissinger presented her readers with different approaches to tackling mental health. Shortly after the stories were published, the Milwaukee mayor increased funding for mental health care and abolished political control of the mental health policy board to make it a non-partisan entity with mental health experts as members. According to SJN, Kissinger said including potential solutions to the stories was what helped the community get the ball rolling to solve the issue. “It’s one thing to talk about problems, and there are many in the Milwaukee County Mental Health System, but where the real value comes for readers is to know how does another community tackle something and turn something around,” Kissinger said. One of the main challenges of reporting these stories simply boils down to time. Holly Wise said because journalists are usually operating on a deadline, it’s harder to prioritize finding and reporting on a solution. Beyond that, Wise said problems, not solutions, are usually what make headlines. But after the SJN began researching the performance of solutions stories, Wise said they discovered solutions can get just as much attention as problems. At the network, Wise often works with students or their professors to teach solutions journalism. With this younger generation of journalists, Wise said the idea of solutions reporting is something they really connect with.